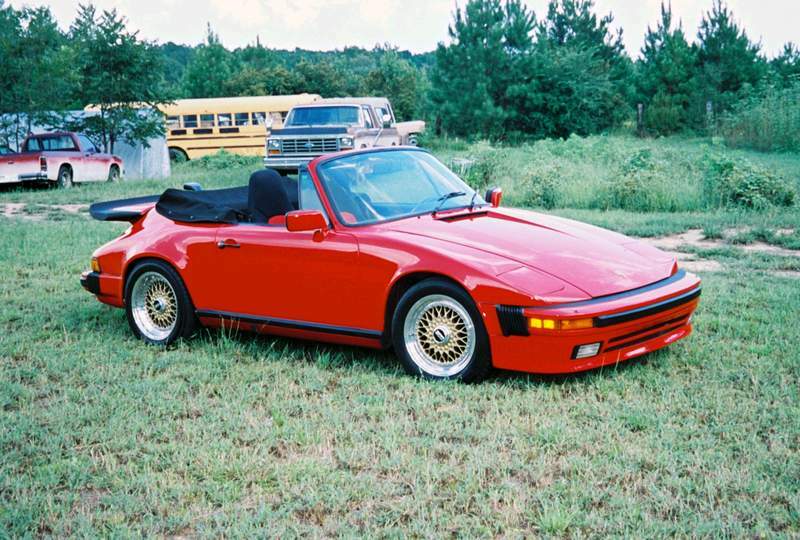 This Red Porsche 930 Slantnose Cabriolet is sitting on a set of 16″ BBS RS wheels. The Gold BBS RS wheels are staggered with wider wheels on the rear and thinner on the front. Full height center caps and silver logo caps complete these BBS RS’s.